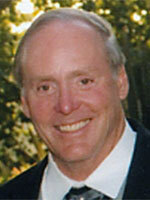 Howard (Ted) Greene received a Bachelor of Arts in Physics from Amherst College and an MBA from Harvard University. Largely based in San Diego and retired to Michigan, his business career included founding or managing eleven medical technology companies. He was the co-founder of Amylin Pharmaceuticals Inc. and served as its Chief Executive Officer from 1987 to 1996 and on its Board of Directors until 2009. From 1986 to 1993, he was a co-founder and general partner of Biovest Partners, a venture capital firm that seed-funded and had success bringing several firms from start up to IPO, such as Pyxis, Neurex, Epimmune, Biosite, Amylin and Vical. He became involved in the early formation of Hybritech Inc. and was Hybritech’s Chief Executive Officer from 1979 until its acquisition by Eli Lilly Inc., in 1986. His early career included work for Baxter Healthcare from 1974 to 1979 and as a consultant working for McKinsey & Co. from 1967 to 1974. At the time of this interview, Mr. Greene served on the Board of Directors of Amylin Pharmaceuticals, Inc.